This year’s AJE Summer Conference – at the London College of Communication on June 29 and 30 – is shaping up to be one of our most interesting and busiest events. Our theme of ‘Journalism: A New World Order’ proved to be a good choice. We were inundated by abstracts and we have crammed in as many papers as we could across the day and a half of the conference. Two of the highlights of the conference will be our keynote speakers. 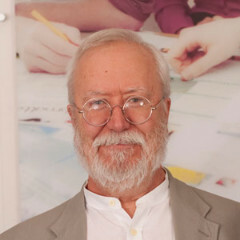 Bob Franklin is professor of Journalism Studies at Cardiff University and founding editor of Journalism Studies, Journalism Practice and Digital Journalism. He will join us at 3pm on Thursday June 29 to talk to us about getting published. The AJE knows the huge expectations that all of our institutions have in terms of members undertaking meaningful, impactful and publishable research. Bob will share his advice and wisdom and take questions from the floor. Aidan White, director of the Ethical Journalism Network, will be our keynote speaker on Friday June 30. 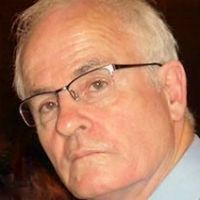 Aidan worked as a journalist with the Birmingham Evening Mail, the Financial Times and The Guardian, before taking up his post as General Secretary of the International Federation of Journalists from 1987-2011 based in Brussels. He will discuss the challenges facing journalists today. Colleagues from across the AJE membership submitted abstracts and these will include papers that explore the rise of fake news, news values in the 21st century, how the academy interfaces with industry, the role of journalism and journalists, the need for inter-disciplinarity in journalism education and how we prepare our students for a dynamic and constantly changing world of work. The AJE Annual Conference is a fantastic opportunity to network, to share experiences and to perhaps find colleagues with whom research collaborations can be nurtured. We look forward to welcoming back old faces, to meeting new colleagues and to sharing some of the fantastic work that AJE members are undertaking. If you have not yet signed up for the conference, please do so here.